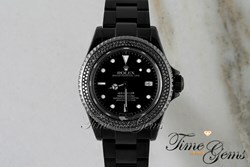 Time and Gems announce that they have added numerous pre-used Rolex watches to their collection of luxury timepieces. Time and Gems has announced that they have added many Rolex watches to their growing collection of luxury timepieces and urge buyers to take advantage of the deals they offer. Time and Gems is one of the largest and most well known luxury watch retailers on the web. For over three decades, the professionals at Time and Gems has been efficiently serving their clients by offering a large variety of pre-used Rolex watches at affordable rates. Time and Gems has amassed a large following of loyal customers not only because of the great inventory they have up for grabs, but also because of the value for money promotions and services that they offer. Here are some of the many opportunities that Time and Gems offers their clients to own the watch of their dreams. As the leading online luxury watch retailer on the web, the managers at Time and Gems understands that their buyers are looking for authentic quality timepieces at affordable rates. Hence, the company is offering a daily promotion known as the Deal of the Day. The Deal of the Day entails Time and Gems selecting a random pre-used Rolex watch from their vast collection of watches and significantly marking down the price for the next 24 hours. Within this 24-hour window, buyers who are interested in securing a Rolex watch for themselves or for a loved one will get the chance to buy this particular watch without having to fork out its original retail price. Many buyers have been known to pay close attention to Time and Gems’ renown Deal of the Day, waiting to pounce on and purchase the watch of their dreams. Every watch offered on Time and Gems’ Deal of the Day comes with an authenticity certificate from the Horological Appraisal Group that determines the watch’s authenticity and retail value. Other frequent offers that Time and Gems regularly treat their buyers to are wholesale and promotional events. According to the company, these promotional extravaganzas usually take place to coincide with a special social event, such as Mother’s Day, Valentine’s Day, Father’s Day, the 4th of July, Memorial Day and so on. During special social holidays such as these, Time and Gems has been known to hold exciting promotional sales by marking down the prices of their inventory, making it more affordable for the average shopper to buy a pre-used Rolex watch. Time and Gems has also been known to sporadically hold special promotions to tie in with the launch of a new collection, or even to usher in a new season. For more information on other pre-owned Rolex watches up for sale, head to Time and Gems’ website or call them at 1-888-658-5595 to find out more.